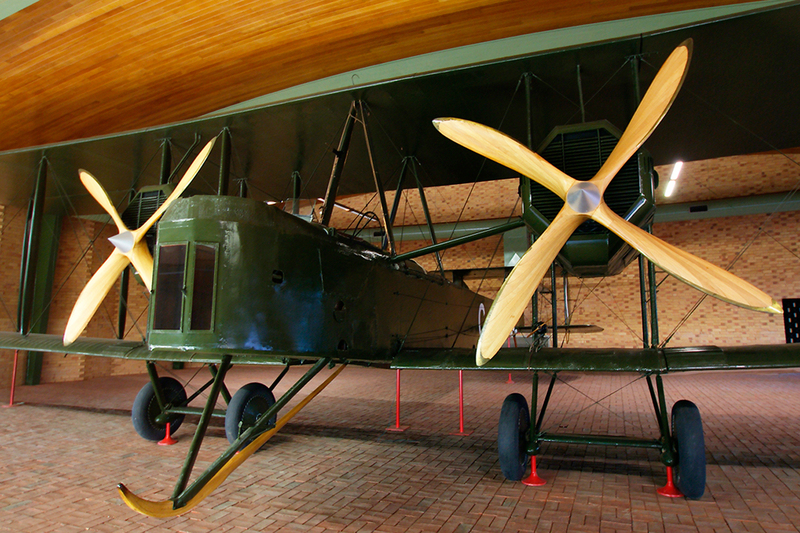 Australia’s first military flight took place at Point Cook, Victoria in a Bristol Military Biplane on March 1, 1914. The British-built Bristol was commonly referred to as a ‘Boxkite’. RAAF (Royal Australian Air Force) Museum Archives. In 1893, Australian inventor Lawrence Hargreave created the ‘boxkite’. By linking four of his tethered kites together and adding a sling seat, he flew up to 16 feet, proving that safe and sustained flight was possible. His theories provided a technical basis for the development of the first of the European and American aeroplanes. Hargreave never patented his inventions, selflessly believing it was more important to share his findings for the good of scientific advancement. After a lot of false starts, the first powered and controlled flight in a “heavier than air” craft was famously achieved on December 17, 1903 by the Wright brothers who flew at Kitty Hawk, North Carolina, USA. 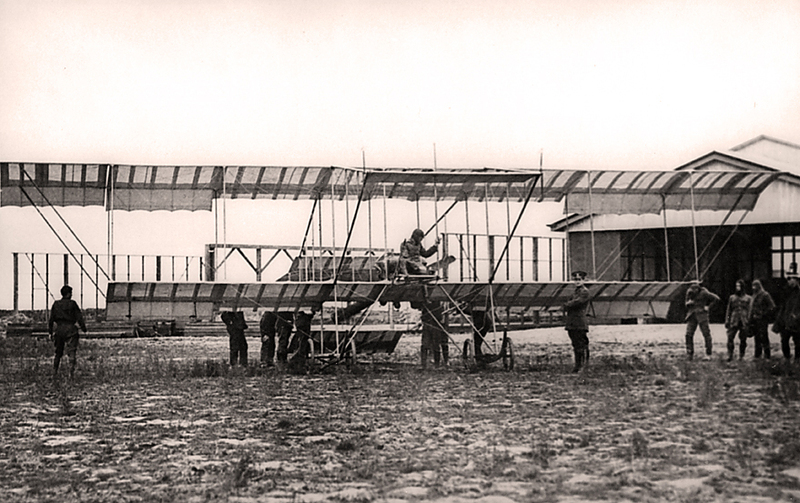 A few years after these first flights, on the cusp of war, the first military flight in Australia took place from a Government-owned paddock at Point Cook, Victoria in a Bristol Military Biplane on March 1, 1914. The Australian Flying Corps (AFC) was active. The British-built Bristol was usually called a ‘Boxkite’, harking back to Hargreave’s experiments twenty years earlier. RAAF (Royal Australian Air Force) Point Cook, operated first by the Army, then the Air Force, and now a National Historic Registered site, is believed to be the oldest continuously-used military airfield in the world. Shortly after that first brief military flight, the Great War broke out and most civil aviation was suspended. Australians flocked to enlist and many became pilots. By the end of the war, thousands of Australians had been into the air. Many were killed in training accidents while yet more fell in combat. Those that returned home, like 2 Squadron AFC ‘ace’, Capt Roby Manuel, DFC* from Kerang, Victoria, often brought surplus war disposal aircraft with them. Roby flew various aircraft from his farm for over half a century. In 1919, Brothers Keith and Ross Smith completed the journey from England to Australia in just under 28 days to win a prize of ten thousand pounds. The Smith brother’s Vimy G-EAOU is now preserved and on display at Adelaide Airport, South Australia. Photo by Phil Vabre. It was air races that connected Australia, a big and remote country, to the rest of the world. In 1919, the Australian government offered a prize of 10,000 pounds for the first Australians to fly from England to Australia, and of the six aircraft that started, only two finished. The winners were brothers Keith and Ross Smith, who completed the journey in just under 28 days. While the Smith’s were on their way to Darwin, Northern Territory, Captain Henry Wrigley and Sergeant Arthur Murphy flew a Royal Aircraft Factory B.E.2e (a single-engine, open cockpit biplane) from Point Cook to Darwin to meet the Smiths on their arrival. The journey took 47 hot bumpy hours with multiple landings, and was almost as epic a journey as it had been for the Smith brothers and their mechanics to get to Australia from London. The Vimy, G-EAOU, flown by the Smiths is now on show at Adelaide’s airport. The other aircraft to complete the journey was even more primitive – a single-engine two-seat ex-light bomber, flown by ‘Battling’ Ray Parer. His trip took an epic 206 days. He and his non-pilot crewman, Scotsman John McIntosh, faced many hurdles that included a jailing and multiple crashes, but they never gave up, and arrived in 1920 with a final crash-landing. This DH-9 is now on display in the Australian War Memorial in Canberra. It’s thought around 60 machines were flying in Australia prior to the establishment of the Civil Aviation Authority on March 28, 1921. Some of the returning war pilots took up regular flying, while others found such constraints difficult after wartime action, and continued with the more exciting pursuits of long distance record breaking flights, air races and barnstorming. It was barnstorming that caused the government to regulate aviation. When the Australian Government lifted an import ban in the 1960s, allowing American manufactured Cessna and Piper airplanes to be imported without excess tax, the glory years for General Aviation (GA) began in Australia, albeit at the cost of indigenous designs like the Victa Airtourer - unable to compete in price and production. According to a Victorian aircraft importer, the massive growth was driven by cashed-up baby boomers. Flying schools and aero clubs thrived around the country as flying came within the grasp of ordinary people. 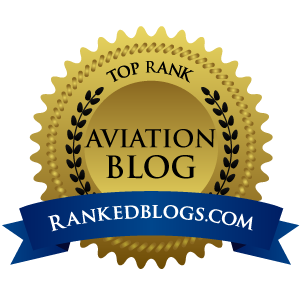 Government regulations and growing costs since the mid-1990s however have seen a monumental shift to sophisticated Recreational Aircraft (RA) for private flying whereas the strongest demand for GA licenses these days is from potential airline candidates. Australia now has five airlines, and an increased number of regional airlines and freight operations. City-based flying schools report the biggest growth area in pilot training is within the helicopter industry, generally geared towards heli-mustering (cattle round-ups) on our large outback station (ranch) properties, which often extend over hundreds – sometimes thousands of square miles. The Civil Aviation Safety Authority (CASA) is the regulating body for civil aviation in Australia. Based in the nation’s capital, Canberra, they set the structure for training requirements and manage the licensing. 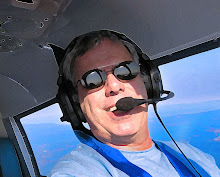 The basic pilot license is a GFPT (General Flying Progress Test) for a student pilot. It requires an aviation medical certificate from a certified aviation medical doctor and completion of a BAK (Basic Aeronautical Knowledge) theory exam before undertaking the flight test. The GFPT allows a pilot to carry passengers within ten nautical miles of the departing aerodrome, or within the specified training area of a flight school. The average cost of training in a Cessna 152 is $200 Australian dollars (A$200) per hour, and average time is 20 hours of training. An Aviation medical exam is around A$154 and books and fees on top of that about A$450, so by the time a student reaches GFPT status, they’ve spent about A$4,500. The second phase of training is Navigation, which will be certified with a PPL (Private Pilot’s License). The theory exams are Navigation, Meteorology and Flight Rules & Procedures. This multiple choice exam is conducted online with results available immediately. The holder of a PPL can hire and fly anywhere within Australia or Papua New Guinea, a rugged mountainous country about 500 miles off the northern-most tip of the east coast of Australia. The PPL is usually conducted in a larger aircraft and requires about 20 hours of navigation proficiency training with aircraft totaling about A$4,500 and extras to about A$1000. The total cost from earthling to freewheeling aviator is around A$9,000 to A$10,000. Currently the Australian dollar is getting $1.06 US. 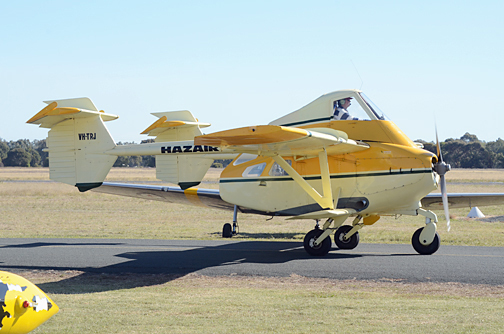 One of the oddest designs in Aussie aviation is the Transavia Airtruk. One of these appeared in the first “Mad Max” film. Photo by James Kightly. Recreational aviation requires the pilot simply to be in a state of health that is sufficient for them to hold a driving license. One of the RA specialist schools is Aus Air Services with a range of aircraft available and based 55 minutes drive from the city of Melbourne, Victoria. For around A$5,000 to A$6,000, you can gain an unrestricted RA license. Accommodations can be arranged at Tooradin, and being on the coast they have a pretty good seafood restaurant. There is no air traffic control, and there is as much fun in the nav destinations as there is in learning to fly. King Island, famous for its crayfish, is to the south, and there are wineries, mountains and coastline with great airstrips. Highlights would have to be flying along the world renowned Great Ocean Road and a three hour flight to the little-known Lake Mungo Lodge. Lake Mungo is an archaelogical treasure, and offers a rich taste of the remoteness of the Australian outback. Aussie pilots can be found in all corners of the world. To fly an Australian VH- registered aircraft to another country, we need only airways clearances, but to fly an aircraft registered to that country, we need to obtain a license issued in that country. When we recently flew from Canada to the Bahamas in a Canadian registered aircraft, we simply contacted Transport Canada, their civil aviation body and provided the paperwork and fee, and had the information verified with CASA. The license was issued within three weeks. For Australians to obtain a U.S.A. license is more complicated, however. For a foreign GA pilot to come and fly in Australia as a private pilot, then a “Special Pilot License” can be issued, based on the overseas license and with a current medical certificate. Before using the license, there is a local flight test and a security check. Verification of all overseas qualifications will be conducted by CASA before recognizing an overseas license or qualification. This involves CASA checking qualifications with the overseas regulatory authority that initially issued the qualification. There are a few surprises for visitors expecting Australia to be like home – unlike the US or the UK, Australia is a fully metric country. Australian English can take a bit of learning while on the ground, which is part of the fun, although generally in the skies the English is pretty internationally standard. Australians drive on the left hand side of the road. Australia is about the size of Europe, or the United States’ Lower 48, so flying around it makes sense. Once licensing is sorted out, there is a smorgasbord of flying destinations, from the glorious coastlines to the rugged and remote interior.